What's the Difference Between Vacation and Retirement? 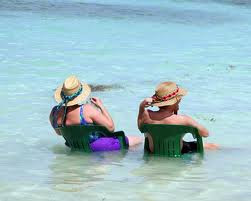 The difference between vacation and retirement is vague in many cases until further into retirement. Read this interesting article on the difference between taking a few weeks off and being off of work - forever. What do you think is the main difference between vacation and retirement? What is your most favorite and least favorite aspect of being retired? Feel free to leave your comments below.